Years ago, when I was in elementary school, my cousins Lisa and Erin would always give my brother and I great Christmas gifts when the extended family got together for Thanksgiving. Now that they both have kids of their own, I thought it was about time to repay them. Two weeks before Thanksgiving this year, I got the idea to use my robotics experience to make a toy for each of the families. I wanted a toy that was interactive, but simple. I needed moving parts, but nothing fragile or exposed. Somehow I came up with the idea to do a tactile version of Simon. All I knew was that I wanted a wheel you could grip that would spin in a pattern that you had to repeat. The toy needed to be entirely encased to protect the electronics, but I wanted the kids to be able to see what was going on inside as well. On top there is a wheel with four colors on it and notches around the outside for gripping. The top wheel is made of clear polycarbonate and the colors are printed on transparency paper and attached with contact paper. This design lets the LED in the notch below one section of the wheel illuminate the active color by shining through the colored transparency. There is a second wheel below the top cover, but it is constrained to rotate with the top wheel. It is made of white HDPE, with strategic portions of its bottom surface colored black. Both of these circles are attached to a Servo which can rotate the wheels in either direction at variable speeds. 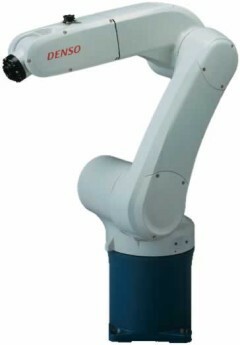 The primary sensors on this robot are the four IR emitter/detector pairs. A combination of an infrared LED and phototransistor, these sensors allow a microcontroller to determine how reflective a surface is. Because white surfaces are more reflective than black surfaces, this sensor pair can parse the pattern of black and white on the bottom wheel. Combined, these sensors tell the robot how the wheel is oriented. Besides the power switch, the only other input device on the robot is the button on the left of the device. After turning the wheel to a certain color, pressing this button will log the current color as your next guess at the pattern. There are two LEDs on the robot. One is in a cutout below the top wheel, and it is used to indicate the currently active color. The second LED is an RGB LED, so it it capable of producing different colors on its own. Displaying Red, Yellow, Green, or White during different portions of the game provides great visual feedback for the user. Finally, there is a buzzer which allows the toy to make noises all across the audible range of human hearing. Everything plugs back in to an Arduino Duemilanove, which does all of the thinking. Most of the components only need to be plugged into the Arduino to be ready to go, but some of them need to go across a resistor or capacitor first. The IR emitter/detectors, however, are a bit of a pain. I had to make a board that slips female headers right over the sensors’ leads and routes them through all the proper resistors to finally output a sensible signal to the Arduino. The servo requires some special electronic attention. Because I want people to be able to backdrive the Servo, I need to completely disconnect it from its power supply when it is the human’s turn to spin the wheel. Using a custom MOSFET board designed by my friend Nico Paris for our RobOrchestra project, I was able to selectively power the Servo. After bouncing off of the vibraphone keys, the ball bearings need a soft place to land and a central basin to roll into. The basic idea behind the design was to make an upside-down umbrella, with the skeleton on the outside. Stretching 1/4” foam between sections of aluminum angle is a cheap way to cover a lot of area. While previous renders imagined the 180 pieces of acrylic supporting the keys to be red, clear acrylic being about 35% cheaper prompted a slight design change. We should save about $100 by changing to 1/8” clear acrylic. The full vibraphone is now 4.5 feet in diameter, and should be about 3.5 feet tall. The rim of the basin is just 2 feet off the ground, which is good because want people to be able to look into the vibraphone. While I had made some preliminary designs of the Vibratron structure a few months ago, I can now begin to finalize some of the key support structure as the ball dispensing mechanism is finalized. Experimentation showed us that the ideal location of the ball dispenser is with the tube perfectly vertical, six inches above the center of a key tilted at 45 degrees. A modular unit consisting of 4 pieces of lasercut plastic and a gate mechanism was designed to hold the keys and gates in their proper relative positions. A large sheet of 1/4” thick aluminum will be waterjet into a shape that can hold 30 of these key units. Each unit will be attached to the aluminum by two lasercut clips which are held down by cotter pins. With 30 key units on one large piece of aluminum, the weight of the entire assembly is already at 50 pounds with a diameter of over 3 feet. In the future, the ball recirculation system (an Archimedes screw leading into a paintball hopper) will rise out from the middle of the aluminum circle, and the ball collection system (a foam floor to catch the balls) will stick out below and around the keys. There are 6 pieces of lasercut 1/8” red acrylic in each of the 30 key units. 3 of those 6 pieces are unique. 1 of the other 3 pieces has 6 different sizes, and the final 2 are each repeated in all 30 assemblies. Obviously I did not want to model 98 different pieces of plastic and insert them individually into models. Fortunately, design tables in SolidWorks are very powerful. In the end, I only needed to make 5 plastic parts and 5 obnoxious Excel spreadsheets to get an assembly (“Key Unit”) with 30 unique configurations. Some of the plastic parts even have their note engraved into the side! The Carnegie Mellon Robotics Club has announced $500 in funding for HarmonicaBot! This is good news, because there was no where else for funding to come from. The one caveat is that I need to have a proof of concept in order to unlock the final $300 of funding. During the presentation, some other interesting means of funding were mentioned. It was recommended that I speak to Clippard directly to try and obtain my 12 solenoid valves for free or at a reduced price. Also, an engineering professor at CMU who is very involved with harmonicas might be interested in doing something with this project. In the hour before the funding presentation, I modeled and rendered a crude first iteration of the plug. This version routes a 1×10 array of square holes on the harmonica to a 2×5 array of 1/8” NPT fittings on the back. The harmonica sticks inside a bit, where two pieces of foam or rubber apply pressure to keep the harmonica up against the plug. The next image is a cross-section of the plug. The curved parts of the channel may seem to end before reaching the harmonica on the left, but they don’t. Instead, one of them crosses out of plane towards you, and the other crosses out of plane into the screen. This complex geometry is why the part needs to be 3D-printed or cast. I have wanted to add a diatonic harmonica to the RobOrchestra since I joined the group in my freshmen year. The Carnegie Mellon Robotics Club recently acquired a MakerBot 3D printer, so my dream has become a lot more feasible than before. The concept for the robot is simple: A 3D printed plug (with complex inner geometry) routes the 10 square holes of a diatonic harmonica to 10 NPT fittings. The NPT fittings connect to 10 different solenoid valves, each corresponding to one hole on the harmonica. This allows for individual control of the air going through each hole. The solenoid valves all connect to a single manifold, which is connected to two other solenoid valves. One of the two valves is connected to positive pressure, and the other is connected to negative pressure (vacuum). Activating one of the two solenoid valves at a time can simulate a blowing or drawing, while the other 10 valves select any number of holes on the harmonica to play. Unfortunately, like humans, this robot will not be able to blow in some holes while drawing from others. The best part about having one generic plug to route the 10 holes to 10 NPT fittings is the modularity it provides. Diatonic harmonicas come in all sorts of keys, but they all have the same shape. Because of this property, harmonicas of different keys can be easily switched in and out of the mechanism. The estimated cost of this robot is at $500. This project is applying for RoboClub project funding, but will not be applying for a SURG. The largest cost is the 12 solenoid valves at $20 each. More updates and design will follow if the project gets funding from somewhere.